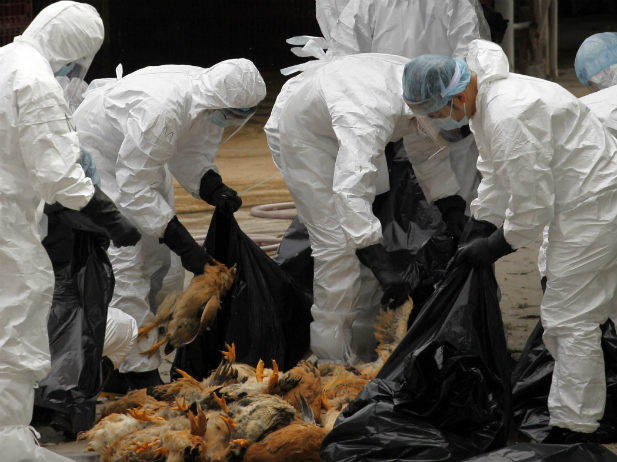 The Rise of A Deadly New Strain of Bird Flu: Has China Handled This Properly So Far? China has long been perceived as the epicenter of major infectious disease outbreaks. The 2003 SARS crisis was the most recent and notable example. However, over the past months, China has been caught up in a series of public health-related crises, including air pollution in Beijing and dead pigs in Shanghai. So when reports came out over the weekend that a new lethal strain of bird flu, H7N9, was identified in China, it should not be a surprise to anyone. Compared to its response in the initial stage of SARS outbreak, China appears to have done a better job so far of handling the new H7N9 virus. The newly formed National Health and Family Planning Commission—the successor of China’s Ministry of Health—shared information about the disease with the WHO, Taiwan, Hong Kong, as well as “related countries.” The health authorities in China have also tracked and are monitoring 88 people who came into close contact with the three cases. But questions have also been raised about the government’s effectiveness in handling the novel virus. The two fatal cases both occurred when China’s parliament convened to elect the fifth-generation leadership. The two victims died on March 4 and March 10, respectively, but the government did not publicize the disease until March 31. Some have questioned whether the government deliberately covered up or delayed reporting the disease. However, the government explained that H7N9 is not a reportable disease under the Law on the Prevention and Control of Infectious Diseases, and it needed time to confirm the virus. But even accepting the government explanation, one still wonders why it took the government more than three weeks to confirm the virus. This is troubling because maybe ten years after SARS, China still has not built adequate laboratory and epidemiological capacities, which is crucial to detect, assess, notify, and respond to public health emergencies of international concern.